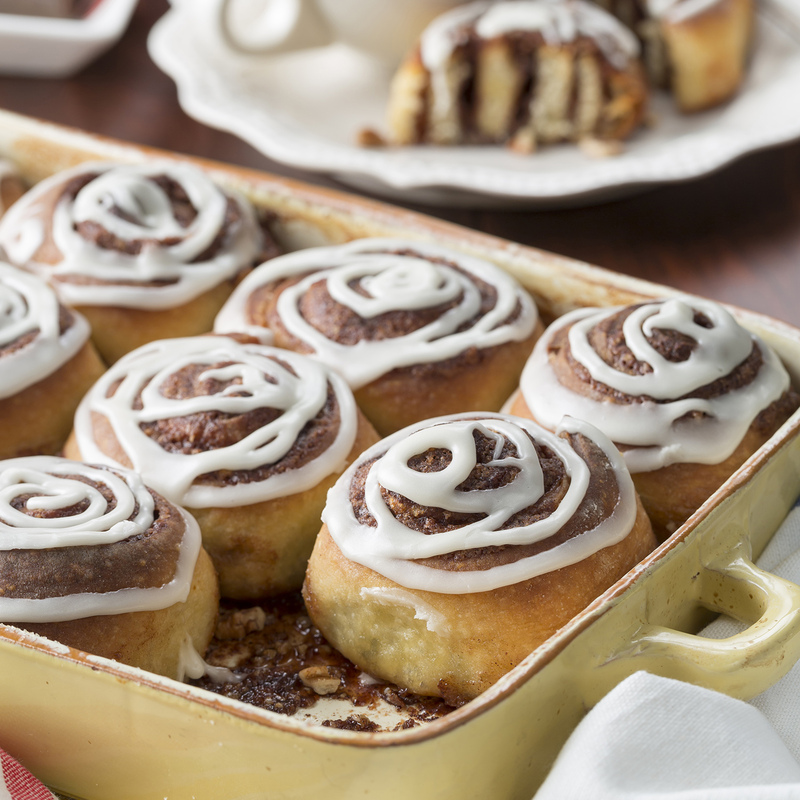 you’re on the hunt for the very best cinnamon roll recipe, look no more. These rolls have a sinfully sweet filling that includes Oklahoma-grown pecans. The surprise with these rolls is just how easy they are to make. No worries for those who don’t like working with yeast – these rolls start with a Shawnee Mills pizza crust mix, making them easy to knead, rise and roll. In large mixing bowl combine the pizza mix, sugar and hot water. Stir, then knead until smooth. Grease pan with butter, and sprinkle with the sugar. Set aside. rectangle. Cover the surface of all but the top 2 inches with the filling using a small spatula. Preheat oven to 350 degrees. Bake for 30 minutes or until golden brown. until you get the desired consistency. Top rolls with glaze while still warm.